Lake activities are in full swing in Big Bear Lake! Enjoy fun activities on the lake for all the family, cooling yourselves down from the warm summer weather. 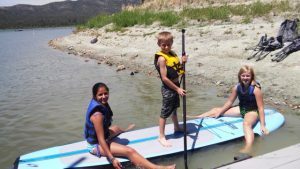 If you book with us at Destination Big Bear you will be able to receive one (1) free 2 hour rental for a Single Kayak, Tandem Kayak or Standup Paddle Board at GetBoards. Book with Destination Big Bear now to secure this great offer! 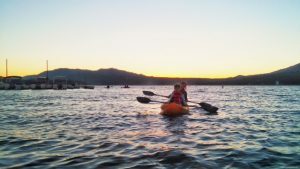 Here are the top 5 ways to have fun on Big Bear Lake this summer! Designated Wakesports is one of the most thrilling ways to have a good time on Big Bear Lake whether you enjoy wake boarding, wake skating, water skiing, tubing, jet skiing, or just feel like a relaxing lake tour. They have the newest equipment and boat on Big Bear Lake and know how to have a good time. Located at Pleasure Point Marina, call (909) 556-3345 for more information and reservations. 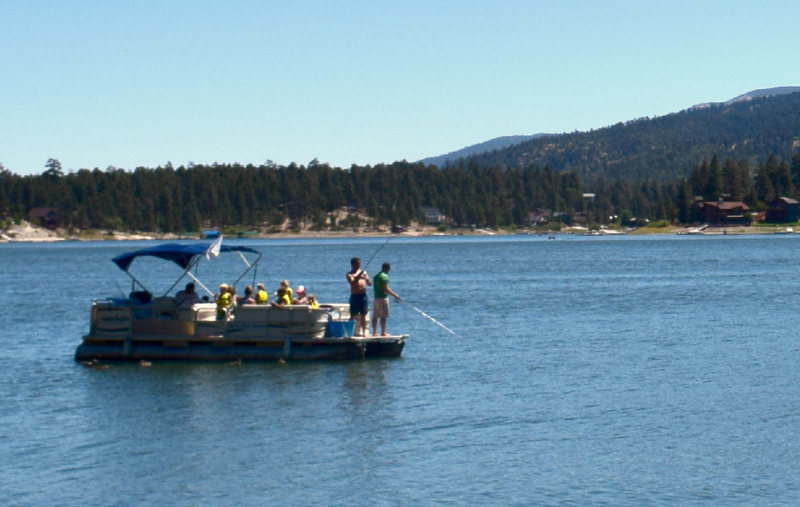 Why not get involved in boating at Big Bear Lake enjoying the surroundings of nature and the beautiful, clear water. Pontoon boats are a fun way for the whole family to relax out on the water. Get close to the water in a kayak and glide your way across the calm, morning waters. Parasailing is the must do thrill seeking sport at Big Bear Lake! Glide across the water up to 800ft in the air. It’s a fun sport to enjoy if you want to cool down from the hot sun and let the wind blow in your face while admiring the spectacular view of the surrounding mountains. Make reservations today at Pine Knot Marina by calling (909) 468-4377. Paddle Boarding is a relaxing sport to enjoy on the lake while you admire your surroundings and gain a new skill! The advantage of the lake being so calm is a lot easier to balance on the board. Most marinas offer SUP’s or take advantage of your free rental from GetBoards! Book a Big Bear cabin rental with Destination Big Bear today to receive the best exclusive offers and discounts! We have cabins right on the lake with private docks if you already have your own boat. Call 909-752-0234 to talk to one of our expert booking team.